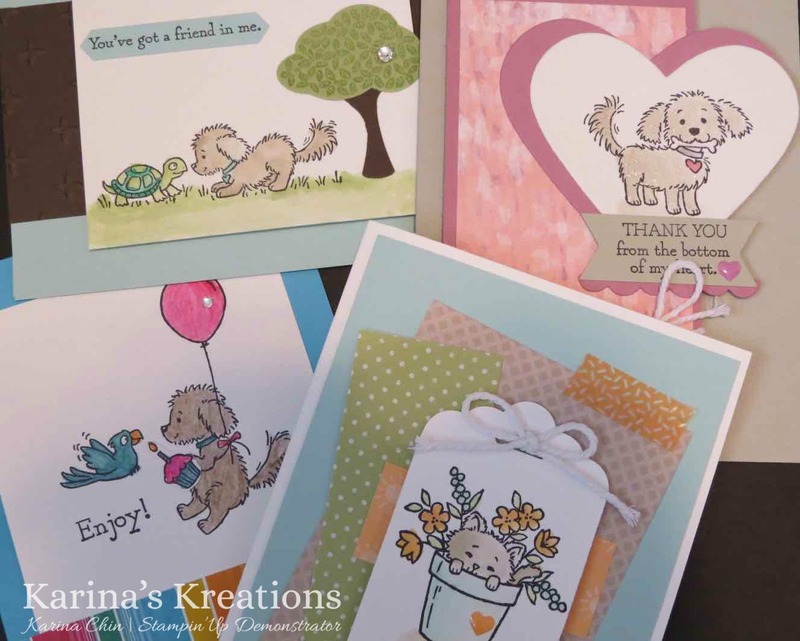 Karina's Kreations: Bella and Friends and Pretty Kitty Card Class! Bella and Friends and Pretty Kitty Card Class! I ran a kids card class yesterday and these were the 4 adorable cards that they made. 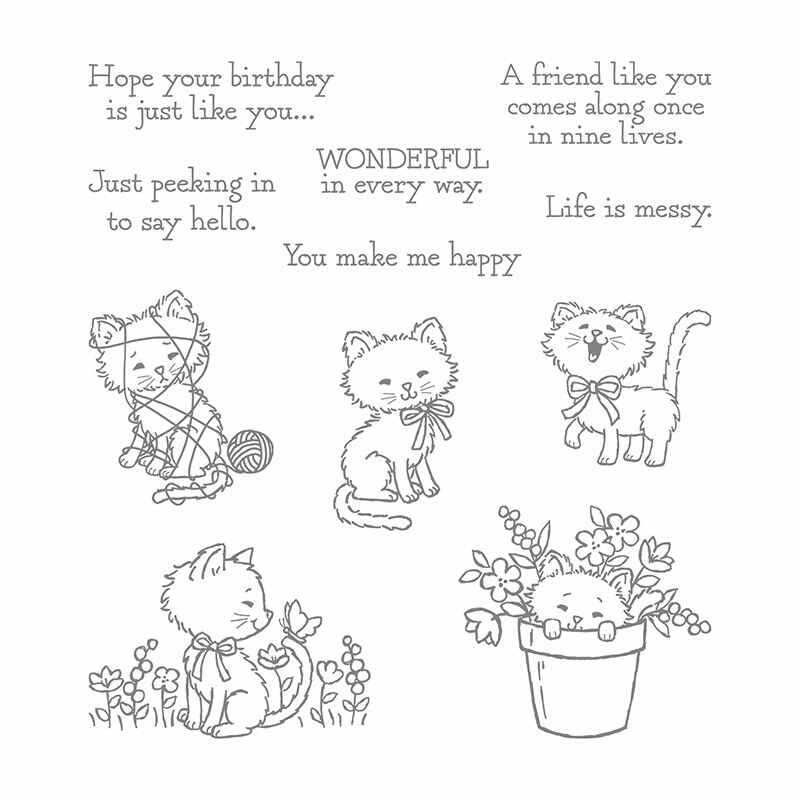 I gave the kids the option of using the Bella & Friends stamp set #141870 or the Pretty Kitty stamp set #141864 on their cards. This class would be great to do as a kid birthday party. It takes about 1-1/2 hours to complete the 4 cards. The kids used watercolor pencils and aqua painters with classic ink to color their images. My cards use Shimmery White card stock. Shimmery White card stock is a little thicker than Whisper White card stock and perfect for water coloring. I also used Festive Birthday #141630 , Blooms and Bliss #141654 and Tasty Treats #142770 Designer Series Paper on my cards.